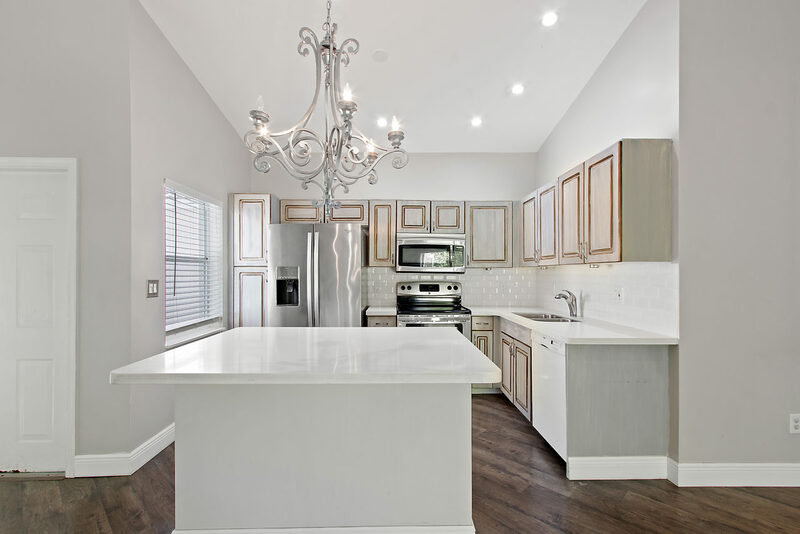 This spectacular residence features total interior renovations with modern grey finishes, upgraded kitchen including quartz countertops, custom cabinetry, subway tile backsplash, stainless steel appliances and large center island ideal for extra culinary workspace or bar top seating. Bathrooms are completely renovated from top to bottom with an eye for design, sparing no detail! Other notable features buyers will love include: wood-look flooring laid on diagonal, recessed lighting, walk-in closet, aluminum hurricane shutters and French doors leading out to open patio and fenced in yard.